Is Thin the Only Way to be Healthy? But newer research may be turning the tide. A study published in April in the Journal of the American College of Cardiology looked at 14,828 adults with no known heart disease and found those who had a BMI of over 25 had more early plaque buildup in their arteries than normal-weight adults, putting them at risk for heart disease. Just because you’re thin, though, doesn’t mean you’re healthy. Research shows being “skinny fat” (i.e., your BMI is in the normal range, but you have high levels of body fat) ups your risk of metabolic syndrome and diabetes and shortens your lifespan. Plus, you don’t want to be too thin: a study published in March said underweight adults have a higher risk of dying sooner than normal-weight people—and an even slightly higher risk than obese people. Bottom line: Despite the research focus on BMI, look beyond that number. 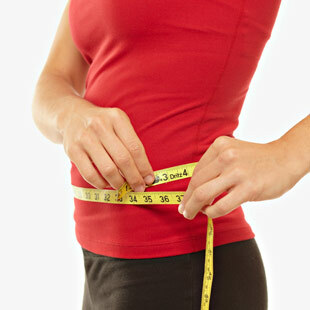 Carrying fat around your midsection is more dangerous than anywhere else on your body. A larger waist (for women >35 inches and for men >40 inches) puts you at a higher risk for health problems—such as heart disease, cancer—and death. So aim to keep your waistline trim. For that, the best “medicine” is eating well and being active.